What a show!!! 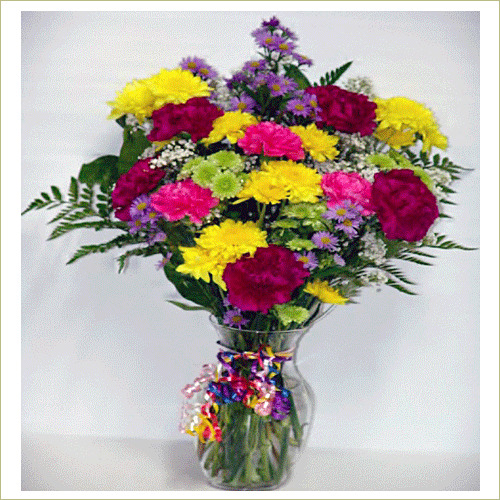 From yellow pom poms to red carnations and even some Monte Casino for texture, this arrangement takes the gold! Enjoy the reverie that is Golden beauty Bouquet!